The Rab Stretch Neo Pant is billed as a high performance waterproof trouser offering soft-shell like comfort whilst providing hard-shell levels of protection. Using Polartec Neoshell waterproof fabric Rab have kept the features minimal (to reduce weight) but retained key designs from elsewhere in their waterproof trouser range (e.g. 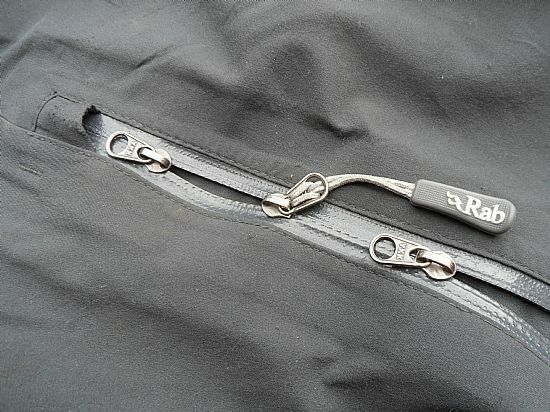 ¾ length side zips) to help functionality (e.g. to aid breathability / venting). The balance of features on the Rab Stretch Neo Pant is excellent, if not perfect for most mountaineering activities (excluding skiing as they won’t fit over most ski boots). Cordura fabric kick patches help to prevent excessive wear on the inside on the ankle/calf, whilst two simple but small handwarmer pockets are a neat addition. In addition they also have a water resistant zip fly, with press stud and hook / eye closure for the waist; this makes getting in / out of them far easier. Around the ankle they have a drawcord and attachment holes for a cord stirrup to prevent them riding up in deep snow, however a lace hook would be a welcome addition. 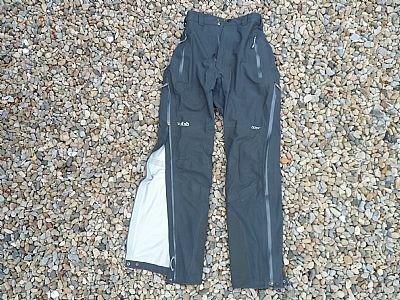 As mentioned above the ¾ length side zips on the Rab Stretch Neo Pants are a great way to regulate your body temperature without removing the trousers completely. They can be opened completely from the top of the thigh down to the ankle press stud meaning they don’t flap around as much (this saves removing the trousers every few minutes during intermittent rain but also allows heat to escape / ventilation when working hard). 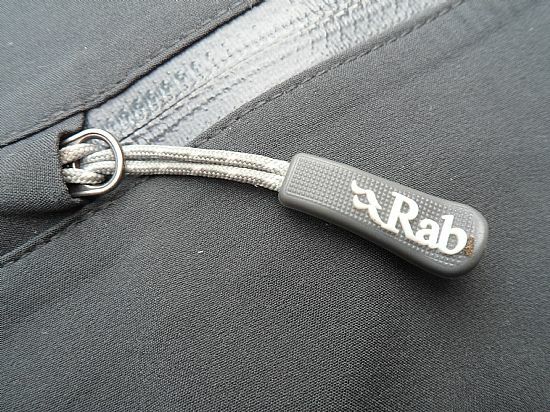 Rab use three zippers on the side zips, one at the ankle and two at the top of the thigh. 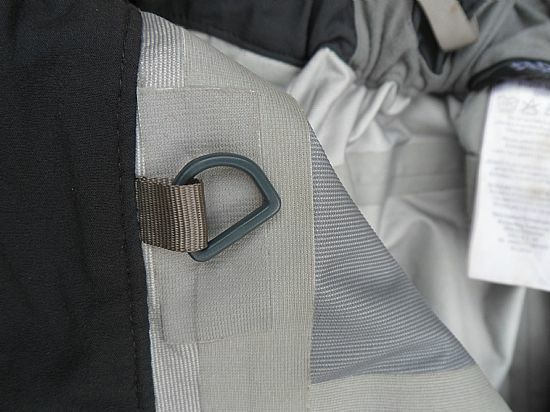 It would be simpler and better if they removed the very top zipper, as it is largely unnecessary, thereby leaving a single zipper at the top which would then fit snugly inside the zipper garage providing a weather tight seal and only one zip toggle to pull. Utilising Polartec Neoshell Waterproof fabric the Rab Stretch Neo Pants are extremely comfortable to wear, with good articulation (I opted for a smaller size to ensure no excess fabric) and soft tactile fabric. In addition to a good fit, the fabric stretches extremely well (particularly for a waterproof fabric). 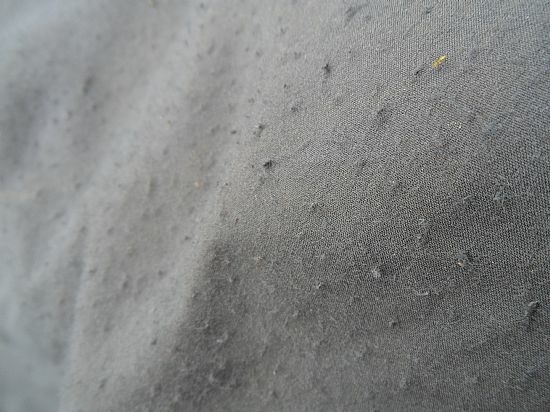 Users of Neoshell have commented on its air permeability (where strong winds have forced air in to the garment). This is noticeable when stationary on cold windy days when you can feel heat being stripped from your body as cold air passes through the fabric. It could be argued that this is a trade-off for the excellent breathability of Neoshell (However this does mean you have to carefully choose the circumstances / weather in which you choose Neoshell garments, as whilst the added breathability may be a revelation when active, the air permeability is slightly alarming when stationary). 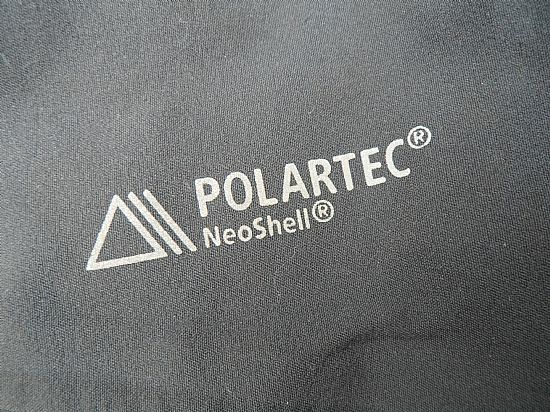 However air permeability may not be Polartec Neoshell’s biggest weakness; durability or the noticeable lack of it is. The Rab Stretch Neo Pant on test here has been used on 4000m peaks, winter climbing and some hill walking, amassing only 12 days use (a tiny amount of use compared to most products tested here). However in those 12 days the fabric has shown alarming signs of wear, with noticeable pilling, elasticity failure and what looks like the beginning of delamination. The pilling or bobbling has occurred in areas where abrasion has taken place (most notably the seat, knees and ankles). 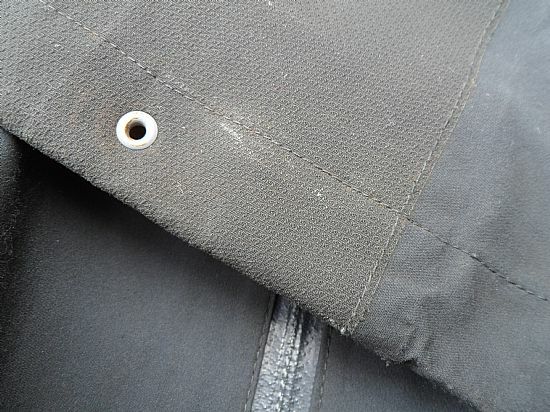 In contrast when testing Gore-Tex products they have taken approximately 7-8 years of similar use to show the same signs of wear as what it took Polartec Neoshell only 12 days to reach. Not only is the fabric extremely prone to wear due to abrasion but the level of waterproofing has also shown no signs of durability. When first tested they remained waterproof, however after only a few days small amounts of water ingress were noticed, until what appears to be a complete failure of the fabric where water was easily passing through akin to an open weave softshell fabric. Putting issues of durability aside, the DWR (Durable Water Repellent) finish has been almost non-existent from new. This was particularly noticeable on the first day of testing when the trousers were fully saturated from light rain and in contrast an eVent waterproof shell jacket was still beading water. In summary, with a few small tweaks the Rab Stretch Neo Pant could be the perfect waterproof trouser, however having a fabric which is neither waterproof nor durable makes them impossible to recommend. An excellent design, with a good balance of features. 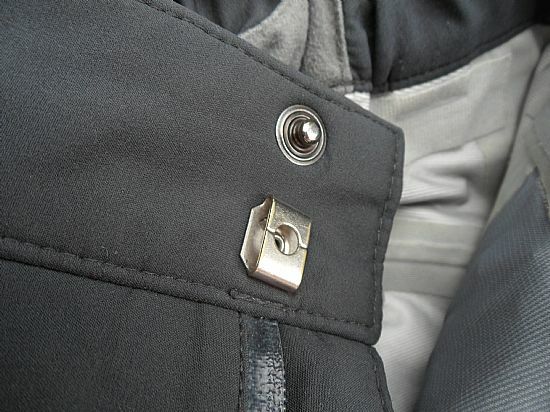 ¾ Length side zips allow good ventilation. Handwarmer pockets are a very useful addition. Zip fly with press stud and hook / eye closure works well. No lace hook on hem. A fabric which can’t handle even light abrasion. A fabric which is not durably waterproof and has an extremely short life span. 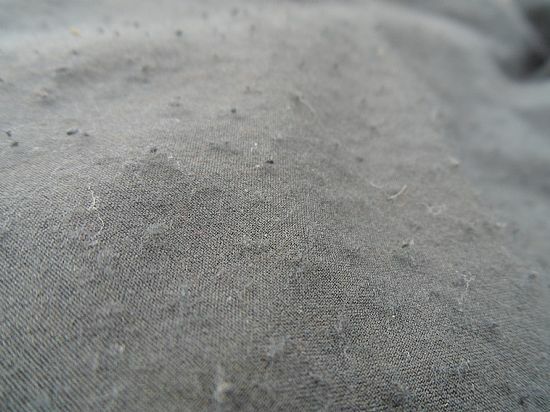 A fabric which has limited or non-existent water repellency meaning saturation occurs within minutes.